Looking for some easy bass songs to play as a beginner? Here are 9 fun songs to play with some of the most iconic basslines ever. Sitting down and learning things like scales, chords, and theory is great for your bass playing but it can get old fast. It’s important to know some easy bass song that you can learn quickly. This way you will stay inspired, not get bored, and you’ll build a massive library of riffs that you can pull from at any time. 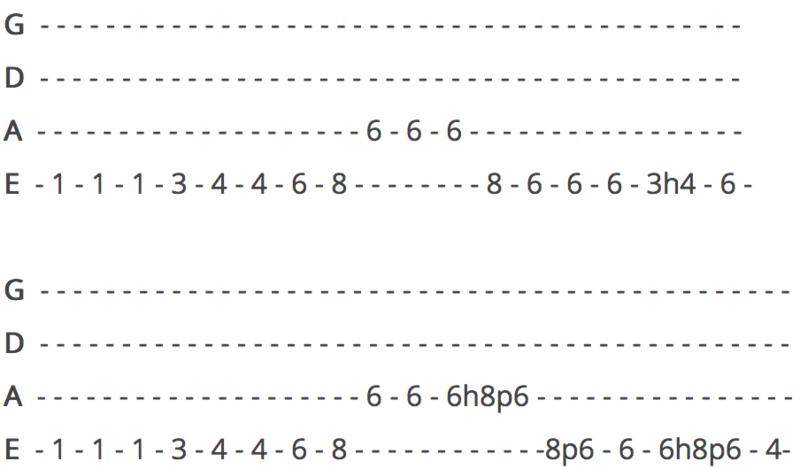 I’ve included some tabs for the main riffs so you don’t need to go hunting for them, along with the song itself, any lessons I could find on YouTube, and a version of the song without a bass guitar so you can jam along. 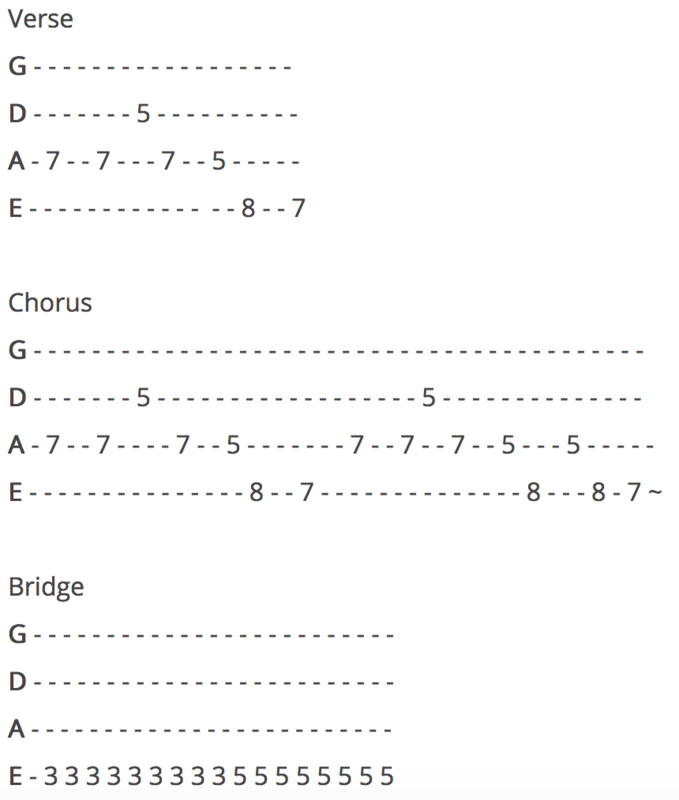 Keep in mind for the tabs listed below that there are many different ways of playing them. The video lessons might have different fingerings, so just choose which one is more comfortable for you. If you want to dive deeper into learning songs on your bass I would highly recommend signing up for JamPlay. 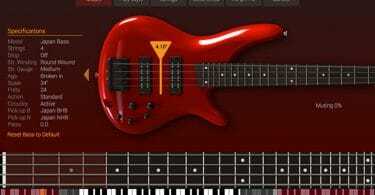 They have a ton of lessons from some legendary bass guitar players and the focus of the site is mostly around learning songs. Back in 2003 the White Stripes released their hit song Seven Nation Army. It helped propel them into the limelight and it has since been used everywhere from stadiums across the world, to TV shows and movies. Having one of the most iconic basslines of all time, Seven Nation Army is very easy to pick up and is super catchy so it’s a good one for beginner bassists. If you search any forum for easy bass songs, Another One Bites The Dust will be the one most frequently recommended almost every time. The introduction of this song was one of the biggest turning points in the bands career, and it helped shape their future as well as the future of music in general. It was written by Queen’s very own bassist John Deacon. They were hesitant to release it as a single at first, but after hearing it Michael Jackson insisted they release it. It’s one of the most iconic basslines ever created and a must-know for any bassist. Kurt Cobain sure knows how to write some catchy songs, and Smells Like Teen Spirit is one that has been on the radio airwaves every day for years now. Krist Novoselic's iconic bassline is in-your-face, aggressive, and a ton of fun to play. The song features a repeating 16th note pattern, so it’s good for beginners to start wrapping their brains and hands around a quick tempo. It’s also a great one for practicing alternating finger technique. Come Together is a Beatles song written primarily by John Lennon which reached the top of the charts in the US and came in at spot number 4 in the UK. Paul McCartney plays the bass in this song and I believe he used his iconic Hofner bass guitar which also appears in our article for the Best Lightweight Bass Guitars. This is the perfect tune for practicing slides on the bass strings since it does it for most of the song. Tim Commerford is one of the most iconic rock bassists to emerge from the 90’s. His heavily distorted and gritty tone has become the benchmark for lots of modern rock songs today. There’s nothing fancy here - this is pretty much the definition of a supporting bassline. It's one of the best easy rock bass songs around. Try to get a deep, warm, and fat tone when you play along with this track, and standing up and jumping around is almost mandatory. Make sure to also try and synchronize your pull-offs and bends with the guitarist. Pretty Fly by The Offspring was the fourth track from their fifth album called Americana in 1998, and it made it to number 53 on the Billboard Hot 100, along with reaching the charts in 15 different countries. There are a lot of bass notes in this song so it can be seen as a little challenging to some beginners, but the rhythm never changes so once you nail the rhythm you’ll have no problems. Feel Good Inc. is a song by British virtual band Gorillaz released in 2005. This single reached number 2 in the UK and number 14 on the charts in the US. Jason Cox is in charge of the bass in this song, and it's so catchy that it's a must-learn riff for pretty much all bassists. 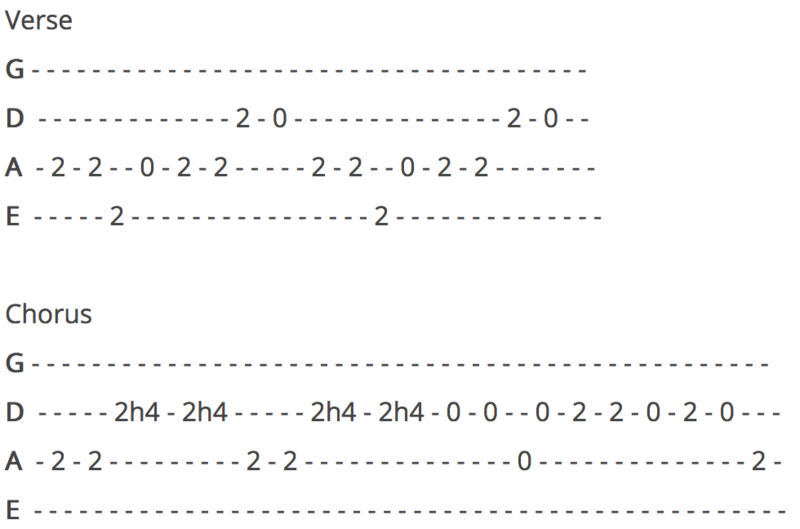 The tuning in the original song is Eb, so you can either transcribe it to standard tuning like the tab below, or just tune down your guitar to follow along with the tabs in the video. Even if you don't learn the full song, take the time to learn the main intro riff and watch the amazing music video. Released in 2010, Pumped Up Kicks became this bands breakthrough hit song and one of the most popular songs around that time. Mark Foster actually wrote and recorded the song in just 5 hours on whim! Thinking that he was just recording a demo, Foster recorded all the instruments on the song and then arranged and edited it all by himself. The final result was the song that Foster ultimately released. Enter Sandman was the first song that was written for Metallica's 1991 album "Metallica". The album was produced by Bob Rock who suggested that the members of the band play together in the studio rather than in separate rooms. This way the intensity of the music could really be felt. Metallica's sound was previously very guitar-centric, and this was the first song where the bass guitar really became an important part of shaping the overall sound and mood of the album.